I’m nerdy. I admit it. I embrace it. Nerds are the best. One of my nerdy interests is the Cold War and all things atomic – weapons, energy, accidents, Civil Defense. When I saw that The Art Gallery of Ontario had a special photography exhibit called Camera Atomica, I had to go. So J and I made the drive up north to Toronto for the afternoon. We grabbed some food in China Town before heading to the AGO on their free Wednesday night open hours before moving on to one of my other nerdy interests. Harry Potter. 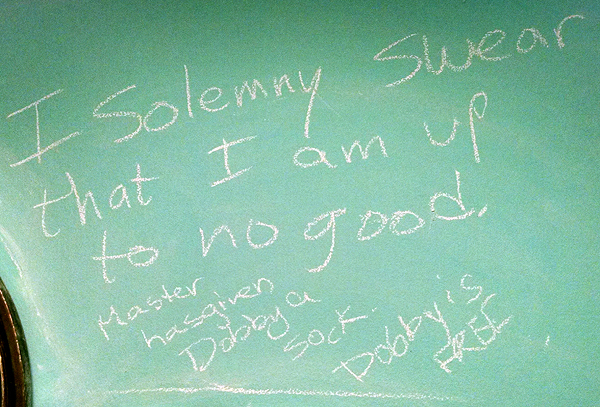 I solemnly swear I am up to no good…. I fully admit I was late to the Harry Potter parade, not reading the books or seeing any movies until the last book was already released. I was in a reading slump, where I had nothing to read, so I finally picked it up. After years of making fun of my friends for going to midnight book releases, and loving the series, I had to apologize to them. IT WAS FANTASTIC! There’s nothing I can say that hasn’t already been said, it’s just a great series, and I went all out, attending the last 3 movies at midnight, visiting Universal Studios theme park, buying t-shirts etc. 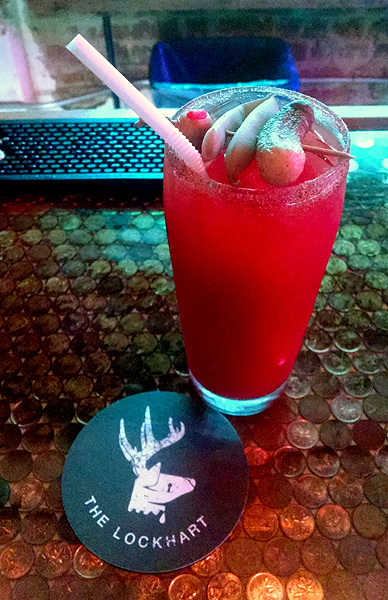 I had seen an article on the interwebs about a Harry Potter bar in Toronto. Whaaaattt!? I had to go. 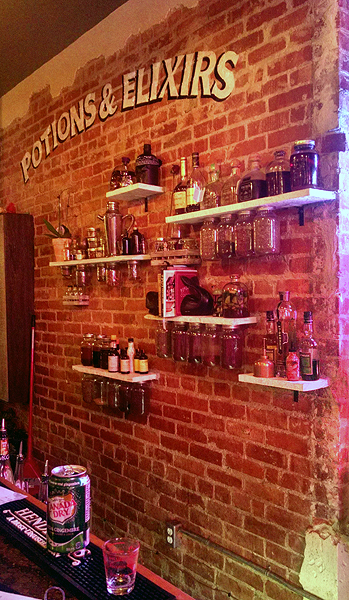 Besides just the name of the bar, The Lockhart, the article advertised visual Potter clues around the bar, and special Potter themed drinks – including one drink named for a reference so obscure, the owners have promised a free one if you figure it out (I’m sad, I didn’t figure it out…UNTIL RIGHT NOW!). And if Harry Potter isn’t for you, there are also other nerdy drinks like the Captain Picard and Dr Manhattan. To be honest I was a little underwhelmed by the bar. 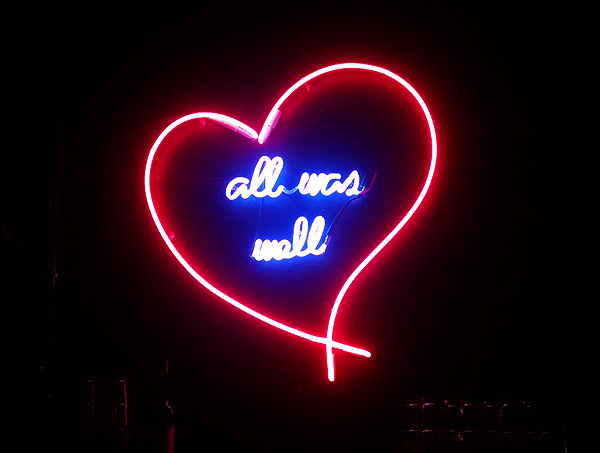 The Harry Potter references are pretty subtle, and if you weren’t looking, or didn’t know Harry Potter, you would just see another hipster-y bar. 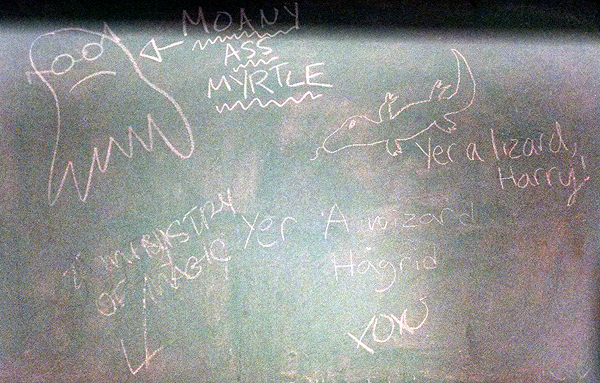 Most of the Potter references came in the bathroom chalk board graffiti, not upstairs. And the nerd in me is super bothered by the stag patronus being associated with lame Defense Against the Dark Arts Professor Lockhart. But let us get to the drink. 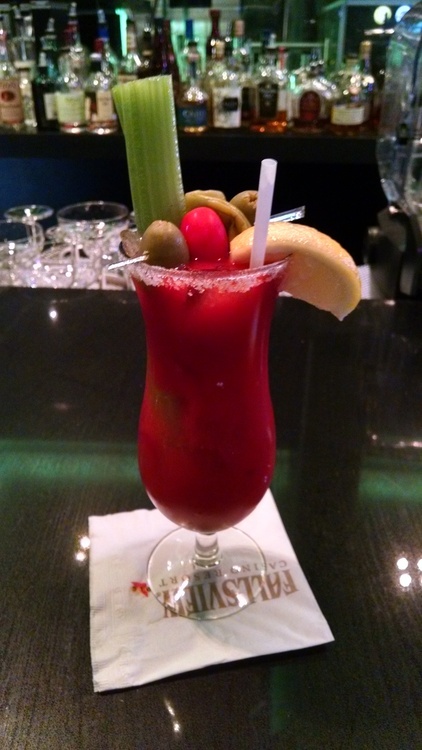 The Lockhart Caesar. 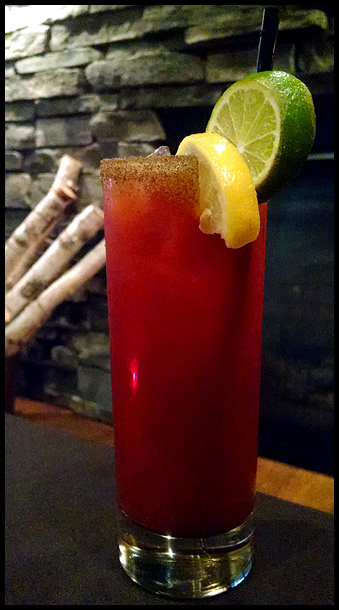 For $10CAD the caesar featured vodka, “death potion”, angostura bitters, Worcester sauce, hot sauce (the menu said Frank’s, but he used sriracha), Clamato, horseradish, lime and spice. Garnished with an olive, pickle, and green bean the drink was pretty liquidy but it was good and drinkable. 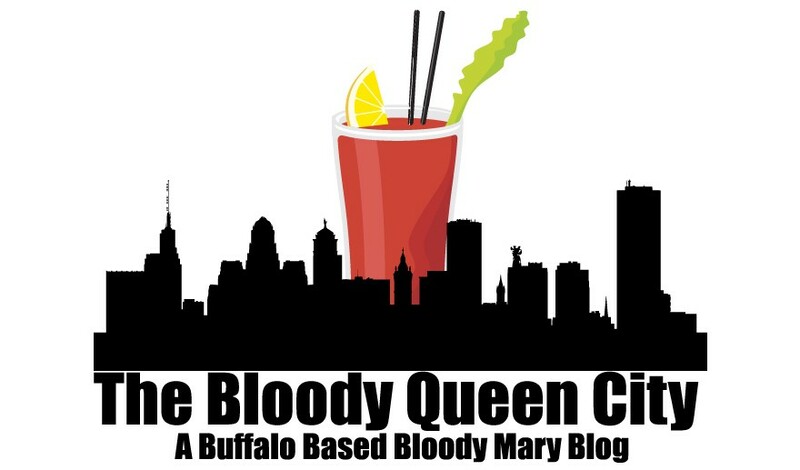 It was garlicky and spicy from the sriracha, with a bit of tang from pickle juice and citrus, but no noticeable horseradish flavor so I’m not sure there actually is any in the drink. I’m not sure what “death potion” is but the drink was tasty and I recommend it regardless.